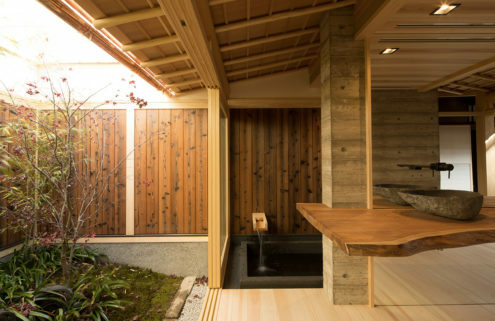 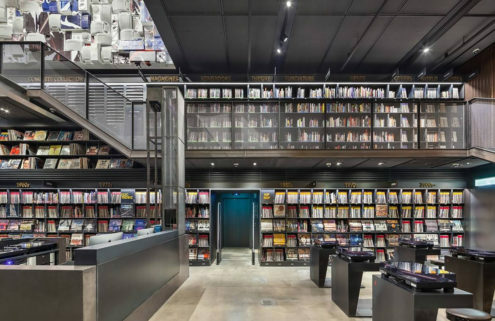 There’s an impressive vinyl and magazine library squeezed into this ultra-slim Kyoto guesthouse, which measures just 2.7 metres wide. 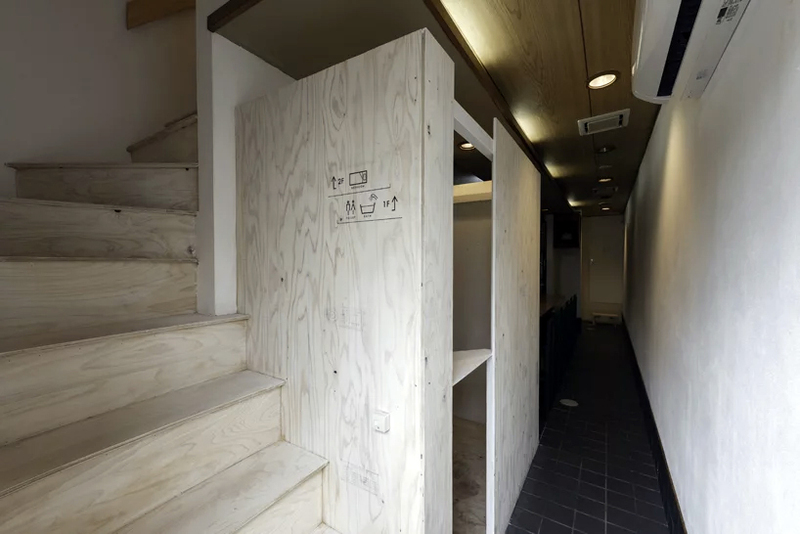 The tiny boutique bolthole – dubbed Music Guesthouse IKUHA – is lined with raw plywood, which has been used to create record storage, shelving, and tiny sleeping compartments. 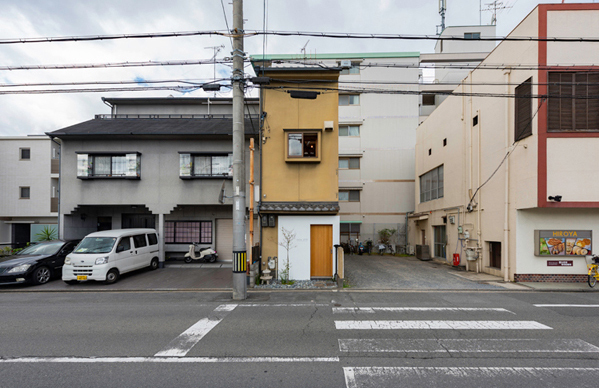 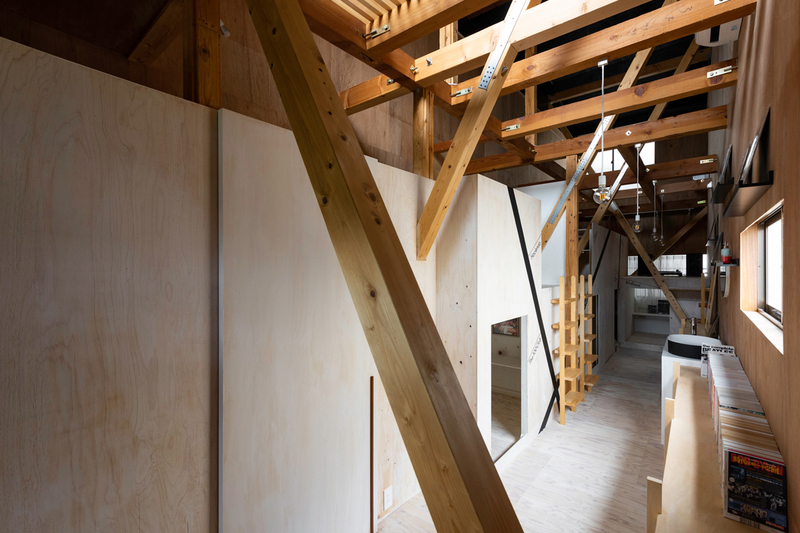 Japanese studio TD Atelier and Endo Shojiro designed the skinny home, making the most of the limited space by leaving the third floor open and the wooden structure exposed, giving it a warehouse feel. 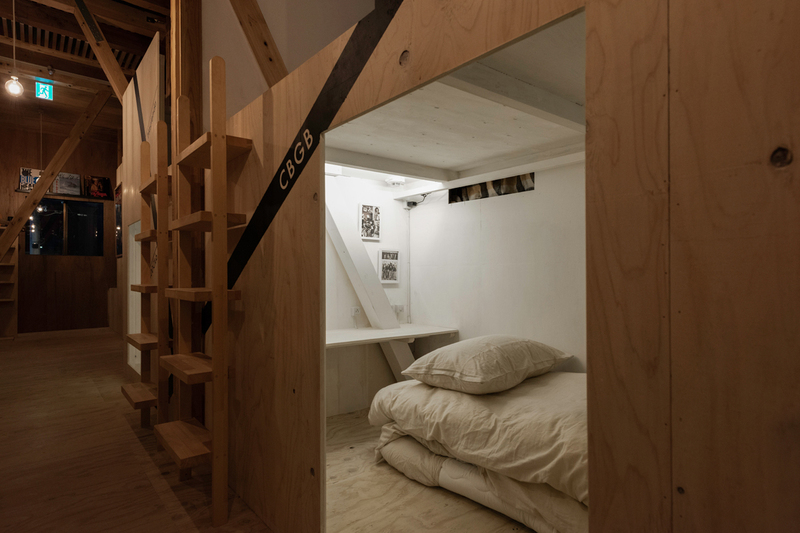 Visitors can choose to stay in CBGB or the Hacienda, with each of the ‘rooms’ named after well-known nightclubs. 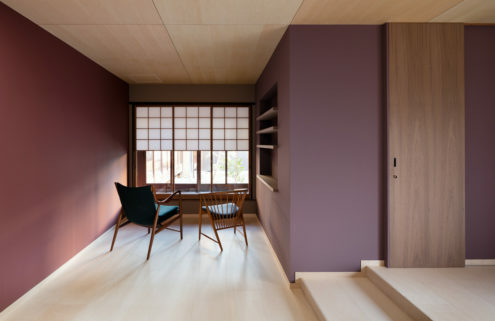 The interiors are minimal, with little in the way of furniture, but the music theme continues with guitars, posters and flyers.